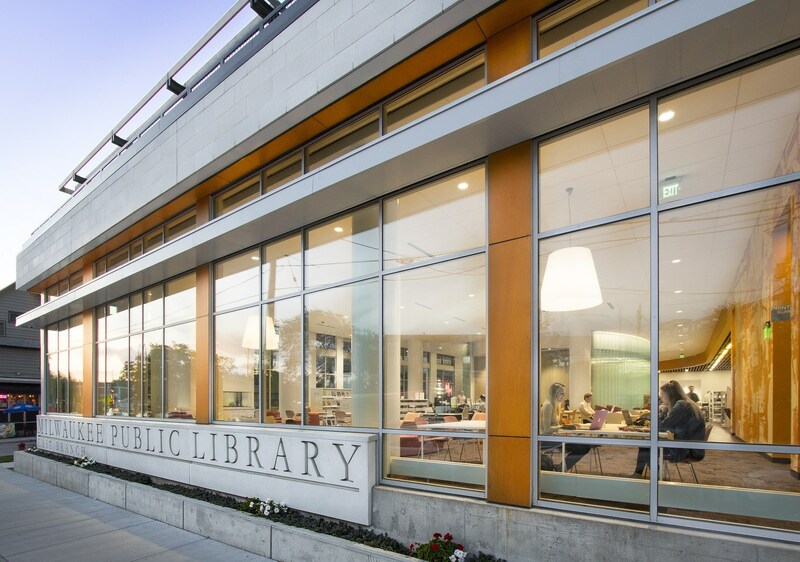 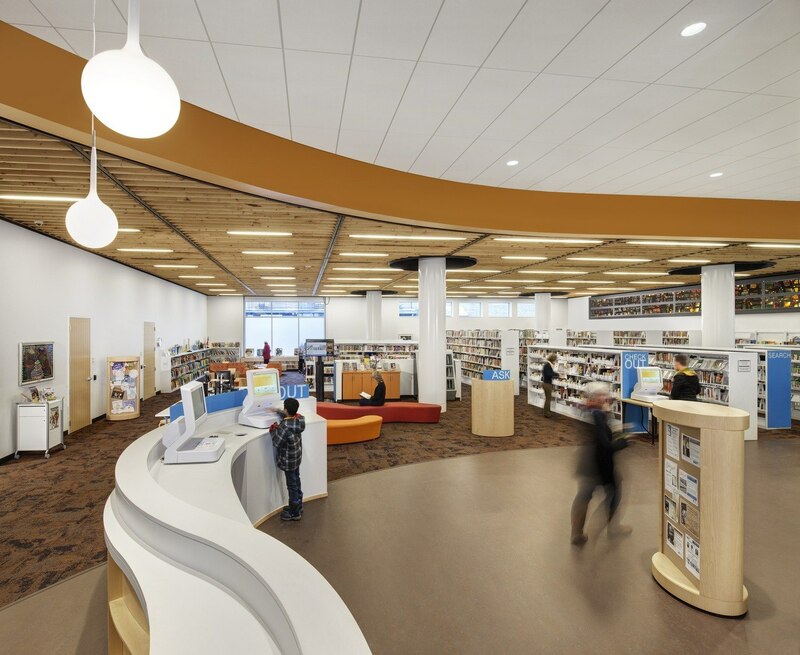 East Branch Library creates a 21st-century environment for community gathering, reading, and learning. 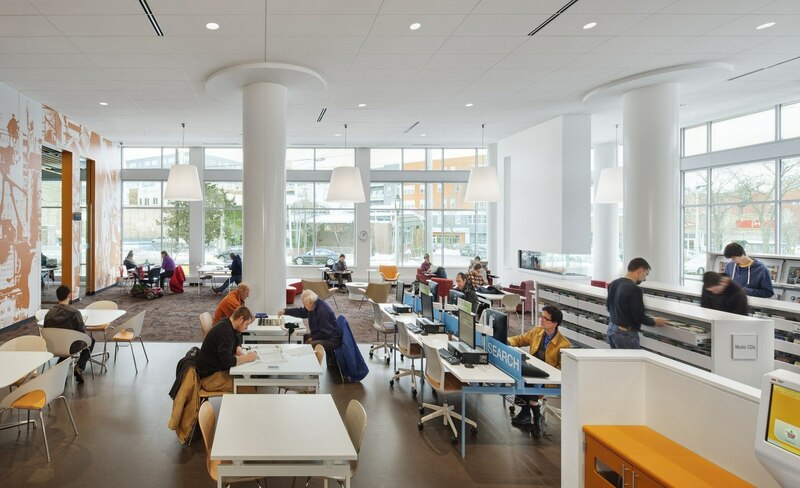 The library organizes the collections around a “marketplace” spine that provides customers with convenient access to library staff, reserves, new materials, express-checks, laptop vending equipment, study rooms, and computer work spaces. 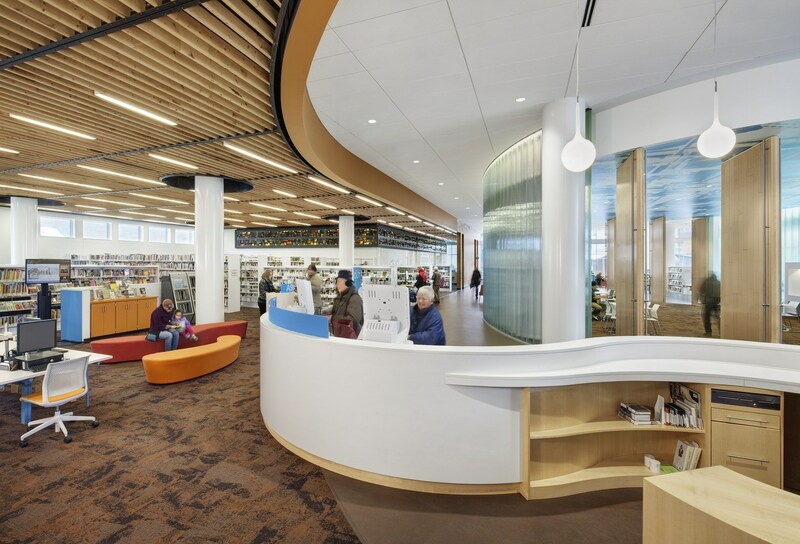 The building salvages and reuses artifacts from the former library to honor the library’s history and create a sense of place. 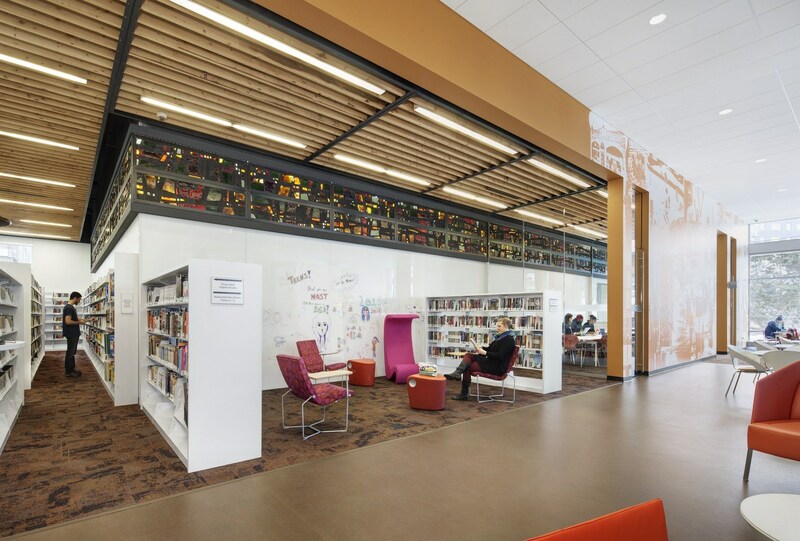 Decorative slab glass panels, for instance, are reused to inspire the interior material palette, now forming an illuminated ribbon of color. 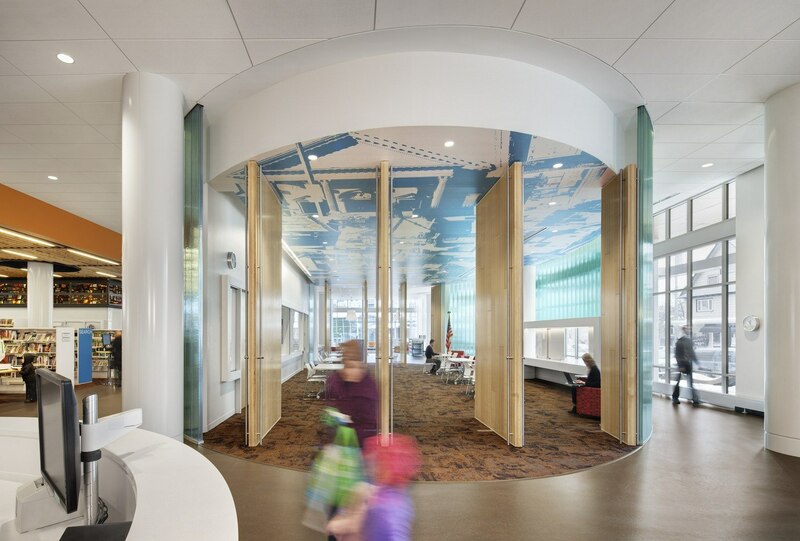 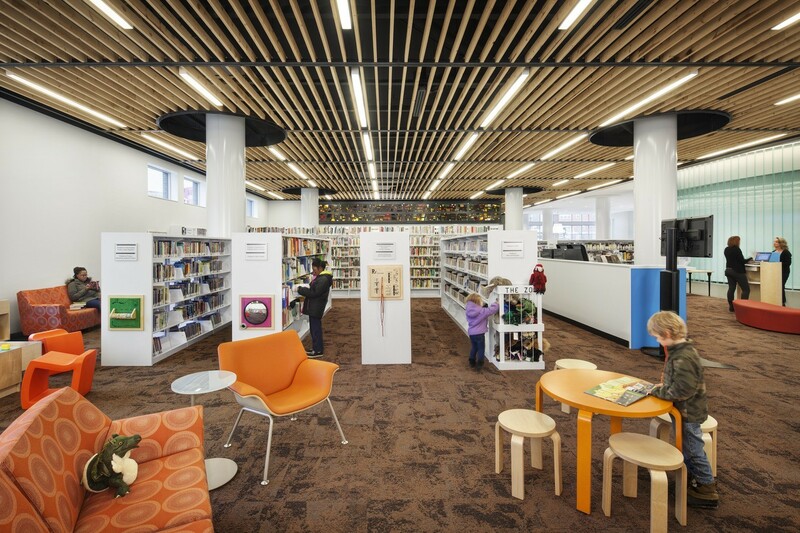 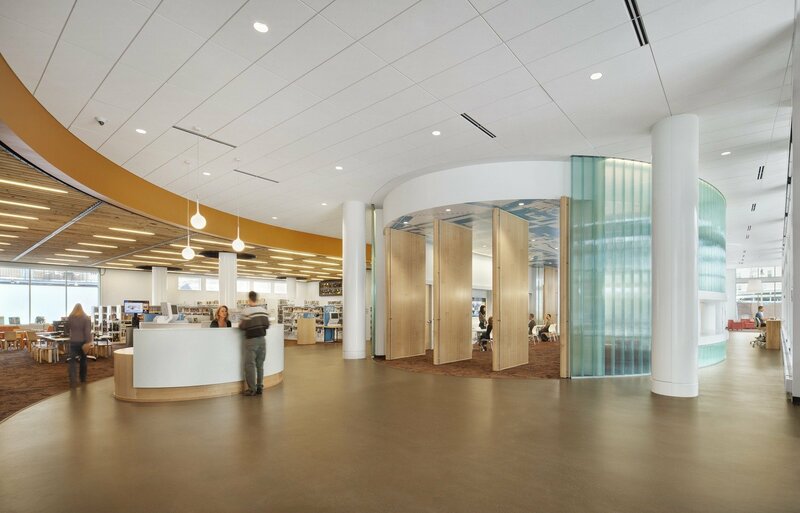 And tongue-and-groove wood ceiling boards were milled and reinstalled into a custom steel frame to add warmth and intimacy to the children and adult collections while concealing lighting, sprinkler heads, and HVAC diffusers.